The North All-Stars got a small measure of revenge when the team topped the South All-Stars at the annual SCACA Girls’ North-South All-Star golf matches. The Ryder Cup style matches were played at Timberlake Country Club in Chapin. 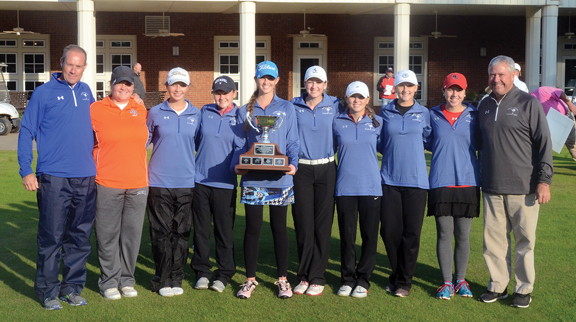 Three teams from the Lower State won girls titles in the recently completed South Carolina High School championships. Bishop England, Lexington and St. James all won state championships and two of the three individual titles. However, the All-Star matches turned out the same way they have the last four years, with the North claiming a convincing victory. The Upper State golfers won 14 1/2 to 1 1/2 to claim their fifth straight title. “As far as this tournament goes the North has been dominant,” said Louis Terry, the North’s All-Star coach. “Our players just seem to do very well in this format,” said the Dorman girls coach. 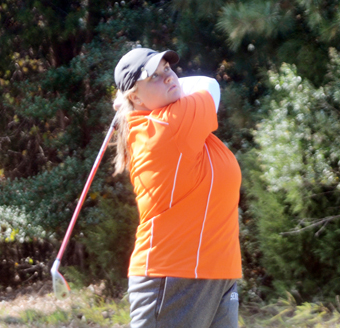 The tournament features eight senior golfers from the Upper and Lower state. The players are nominated by their own high school coaches and then the team is selected by the All-Star coaches. The coaches try to make sure there are players selected that come from all the classifications in the state. Emily Cox of Andrew Jackson will play college golf at Southern Mississippi. The All-Stars played three nine hole matches. 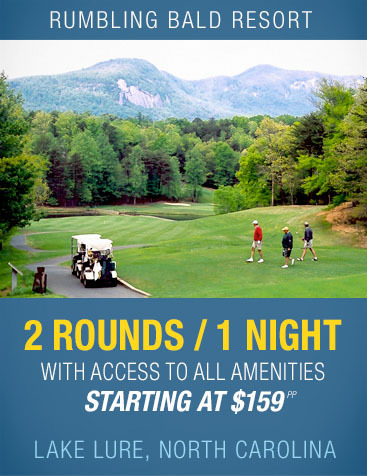 A round of alternate shot competition, four ball matches and then singles matches to conclude the event. Since it was only bragging rights on the line the competition was fun, but still the All-Stars wanted to play well. The girls’ North South matches grew out of the boys’ North-South All-Star matches that were played at the end of the season usually around Myrtle Beach. The boys North-South teams had included two girls from the Upper and Lower state. 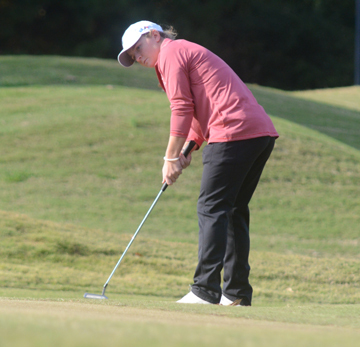 As girls golf has grown and the quality of play has improved the coaches in the state began their own North-South competition each November after the completion of the high school season. 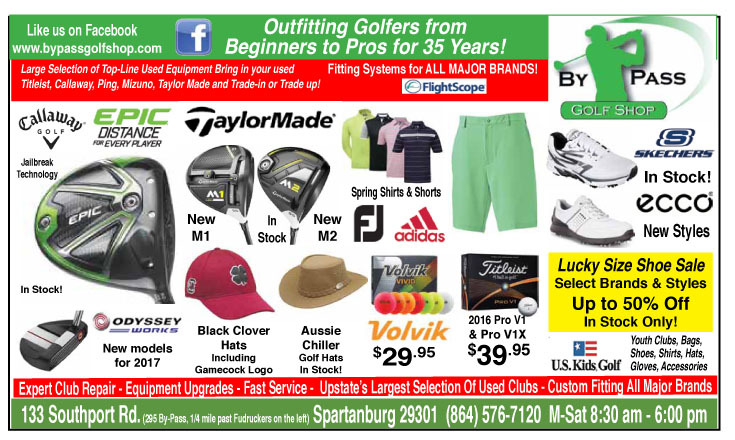 “A few years ago our golf coaches decided to have our own North-South match,” said Roger Smith of River Bluff High School who helps organize the event. “The old format was so limited it really wasn’t fair to just a couple of girls,” he said. The coaches hoped that by creating an end of the season All-Star event they could encourage more girls to play the sport at their high schools. 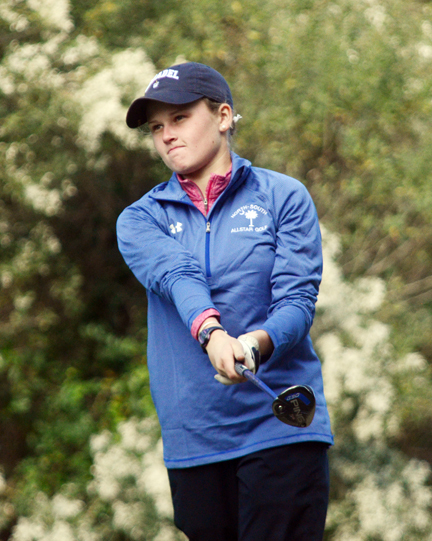 Ashlee Richardson of Greenville will play college golf at The Citadel next year. “There are girls who play in all the big events in the state and we have some of them here, but we also have some girls who are just good high school golfers. This is a reward for their season and for contributing to the growth of girls golf in the state,” said Smith. Almost all the players on the All-Star teams are going on to play college golf. The AAA individual champion Emily Cox of Andrew Jackson High School will play college golf at Southern Mississippi. Kathleen Sumner of Bishop England will play at Florida State. Ashlee Richardson of Greenville has signed to play golf at The Citadel. The girls have been recruited by all levels of schools from Division III to schools in Power 5 Conferences. “Most of the girls have the chance to play in college. Over the years the ones that did not have a college offer had one more chance to impress college coaches. We have had college coaches come here to see some players,” said Smith. One of the long range goals of the girls coaches is to find away to keep more girls playing golf all year. Many high school golfers put their clubs up after the season in the fall and don’t start playing again until the following fall. “We are looking at ways to create more opportunities for girls outside of the high school season. We think if there are more events to play more girls will take up the sport,” said Smith. 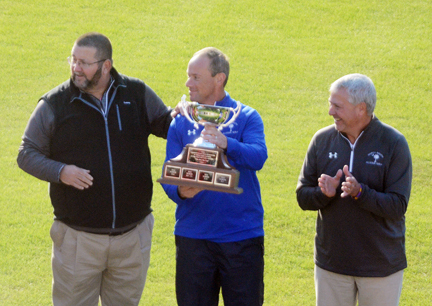 Dorman golf coach Lewis Terry coached the North All-Stars to a victory. Members of the winning North team included, Cox, Richardson, Maggie Smith from Boiling Springs, Anna Parramore from Emerald, Anna Freeman from South Aiken, Beth Ann Townsend from Travelers Rest, Carleigh Greene from TL Hanna, Jodee Tindal from South Pointe. Coaches Lewis Terry from Dorman and Terry Honeycutt of Hanna. North All-Stars won the annual N-S match by a score of 14 1/2 to 1 1/2. The South team included Sumner, Emma Wofford of Bishop England, Delanie Mortier of Fort Dorchester, Madeline Prince of Hilton Head, Jacki Brown of Carolina Forest, Kendall Lewis of Conway, Abigail Starnes of Chapin and Niki Roberson of Carolina Forest. 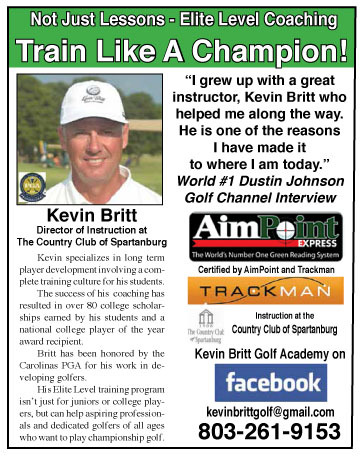 Coaches Patrick Wilson from Aynor and Rawn Grant from Hilton Head.